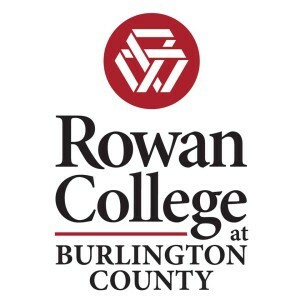 Rowan University and its partner educators at Rowan College at Gloucester County (RCGC) and Rowan College at Burlington County (RCBC) announced an all-new option for earning a four-year college degree. Unique in New Jersey, a “3+1” program will enable students to spend three years at one of the two Rowan University-affiliated community colleges and just one at the University as they complete coursework for their bachelor’s degree. The estimated cost of a bachelor’s degree through the program, about $25,000, will be about half of what commuters would spend at the state university and about one quarter what commuter students pay at many private schools. The program was announced during a meeting Jan. 11 between about 150 Rowan, RCGC and RCBC educators on the University’s main Glassboro campus. While various 3+1 programs exist elsewhere in the U.S., there is no comparable program in New Jersey. Community colleges typically offer the first two years of higher education and award associate degrees. The 3+1 program will enable both of Rowan’s county college affiliates to offer the third year of coursework in nursing, law/justice, psychology and liberal studies. In addition, RCGC will offer the Rowan’s popular radio/tv/film program and RCBC will offer a to-be-determined science major. Students will complete their first full three years at their community college where county college faculty will teach 300-level (junior year) courses. All county college faculty will carry master’s or doctoral degrees and the curriculum will be exactly the same as what is offered at the University. Scheduled to start as early as next fall, students who enroll in the 3+1 program will pay county college tuition and fees during their first three years and Rowan University tuition and fees their senior year. “At a time when colleges and universities across America are rightly being criticized for the high cost of higher education, we continue to identify pathways for students that lower the price of a college degree,” Houshmand said. He said the initial four-year degrees offered through the new program will grow to meet student and market need. Before the 3+1 program begins, the Middle States Commission on Higher Education, which accredits colleges and universities in the Mid-Atlantic region, must approve the curricular changes. The N.J. Presidents’ Council, which represents the state’s public, private, and community colleges and universities, must also ratify the changes as must the state Secretary of Higher Education.